Tongue and Groove or Click Fitting Bamboo? 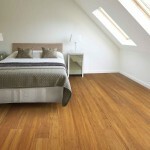 When choosing a new bamboo floor you may wonder whether to opt for (Tongue and Groove) T&G or Click bamboo. 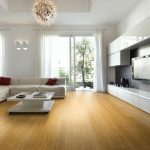 Once the bamboo flooring is laid, it will look exactly the same, but you might want to know the differences between them. 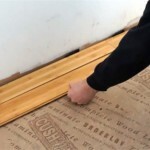 This entry was posted in Bamboo Floors and tagged tongue and groove bamboo, t&g bamboo, click fitting bamboo, installing bamboo, Fitting bamboo flooring on June 26, 2018 by chris elliott. 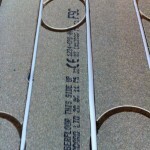 This entry was posted in Bamboo Floors and tagged subfloor preparation, expansion gap, installing bamboo, bamboo flooring underfloor heating, installing Bamboo flooring, underfloor heating on May 11, 2018 by chris elliott. This entry was posted in Bamboo Floors and tagged sub floor preparation, expansion gap, tongue and groove bamboo, t&g bamboo, click fitting bamboo, installing bamboo, fitting bamboo, bamboo floor acclimatisation, installing Bamboo flooring on March 16, 2018 by chris elliott. 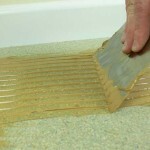 Why has my bamboo floor lifted up? 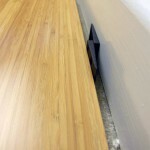 This entry was posted in bamboo, Bamboo Floors and tagged installing bamboo, Bamboo flooring installation, flooring expansion gap, bamboo flooring expansion gap, Fitting bamboo flooring on February 2, 2016 by chris elliott.